Delicately Drawn Pictures Full of Whimsical Characters. 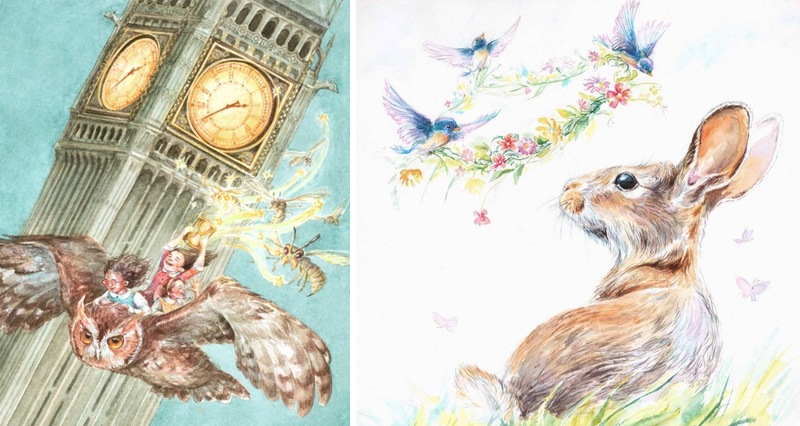 Magical Watercolors with Intricate, Imaginative Details. Some artists are noteworthy simply for their incredible skill, but Austin illustrator Mariya Prytula takes it one step further by also having an amazing imagination that inspires her whimsical watercolors. Looking at her work, I can't help but wonder what it's like to see the world through her eyes, so playful and dreamy. 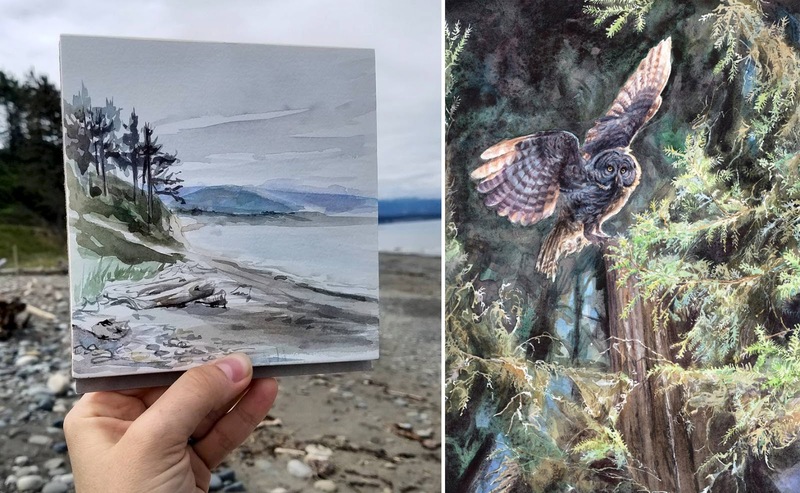 You get a taste of her viewpoint in her delicate drawings, often of either beautiful scenes in Mother Nature or stories straight out of Mother Goose. Mariya is a self taught artist with a background in biology. While she may not have originally planned on pursing art, she is able to apply her studies in creating lifelike detail when depicting flora and fauna. I love how she balances the realism with whimsy. Even the mythical characters and anthropomorphized animals are so skillfully executed that you can almost see them coming to life. Watch one of her time lapse videos and you will literally see them come to life, from sketch to tiny little brush strokes. 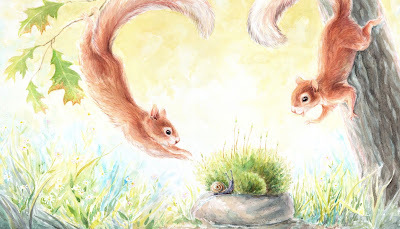 Mariya composes her images around a story, and as you can imagine, her work lends itself well to children's book illustrations. 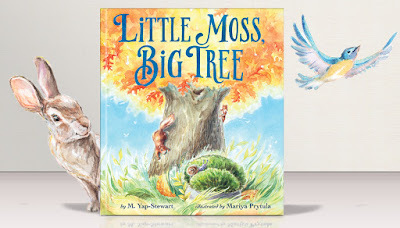 She just recently completed an impressive project in partnership with M. Yap-Stewart called Little Moss, Big Tree. This richly illustrated book look so magical and happy. I'm pretty sure all ages will find great enjoyment reading it. If you'd like to get your name on the list for a copy of this book, check out her Kickstarter. She's gotten a great response so far, but with your help they can take this project even further. I can't wait to hold a copy in my hands once published. There is so much talent in Mariya's fingers and so much creativity in her head, it's almost not fair.